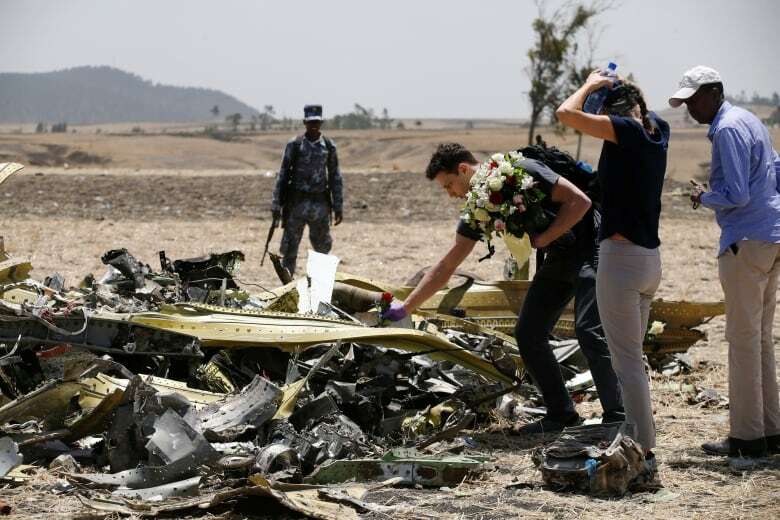 The Ethiopian Airlines crash has focused global scrutiny on safety features on the now-grounded Boeing 737 Max 8. Chris Clearfield, a pilot and expert on the aviation industry, says aviation is already so safe that adding more complex systems just creates opportunities for catastrophe. The aviation industry is already so safe that adding new safety features, like the MCAS software on the grounded Boeing 737 Max 8 aircraft, could inadvertently contribute to more accidents, according to a pilot and author. "Adding a safety system is a good decision, but I think what we see is the sort of unanticipated consequences of that, that come from the fact that it's such a complex system," said Chris Clearfield, co-author of Meltdown: Why Our Systems Fail and What We Can Do About It. "Complexity creates these opportunities for these unanticipated failures," he told The Current's guest host Piya Chattopadhyay. 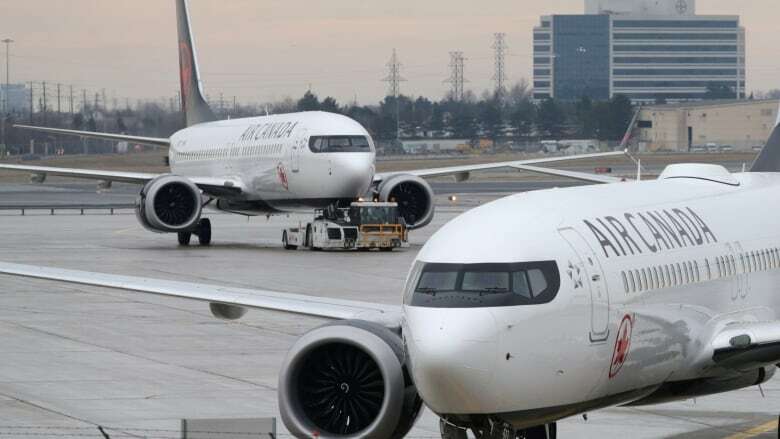 The Boeing 737 Max 8 airplane has been grounded by more than 40 countries, following an Ethiopian Airlines crash that killed 157 people near Addis Ababa on Sunday. The disaster bears a resemblance to a Lion Air crash in October involving the same aircraft model. The Max 8 went into commission in 2017, and is fitted with a flight-control system called the Manoeuvring Characteristics Augmentation System (MCAS). Because of some design changes from previous models, the Max 8 has a tendency to nose up under certain flight conditions. The MCAS was designed to correct that flaw and push the nose of the plane back down. "The safety feature that Boeing added was really driven by the design of the airplane, and … the new engines to make it more fuel efficient," Clearfield told Chattopadhyay. "In this change, Boeing is actually adding complexity, in the way that this software works, by incorporating input from multiple sensors," he said. Investigators found the Lion Air pilots struggled to control the plane as the MCAS repeatedly pushed the nose down, but safety experts have cautioned about linking the two tragedies before the black boxes from the Ethiopian flight are examined. Clearfield argued the Max 8 is "ultimately still an incredibly safe airplane," and that air travel in general may be so safe that we may have reached a stage of "diminishing returns." "Any change we make, you know, can only reduce safety, in some sense." Following the Ethiopian Airlines crash, U.S. President Donald Trump tweeted that airplanes "are becoming far too complex to fly" and need "computer scientists from MIT" more than they need pilots. The president was mocked on Twitter for his comments, but Clearfield characterized it as "a very nuanced tweet." "Computer scientists from MIT are involved in these processes," he told Chattopadhyay. Those scientists should be keeping our human limitations at the forefront of the design and engineering process, he added. "We're imperfect creatures, we get startled and when we get startled our brains don't always work in this ... rational logical way," he said. "We need to be building that into our designs." He said that in the case of the Lion Air crash, "the pilots were out of the loop." "They didn't understand enough of what was happening, they were startled and so they responded like humans do, which is to say, sort of imperfectly." He pointed out that the same situation had arisen on the same route, but with a different flight crew, the day before. That crew turned off the MCAS system and took manual control of the plane. "What we need is humans more in the loop, and engineers … being able to think more pilot-centrically." Written by Padraig Moran. Produced by Howard Goldenthal, Danielle Carr and Jessica Linzey. Podcast: Is the Boeing 737 Max 8 safe?